Tiny red handbell on a keychain. 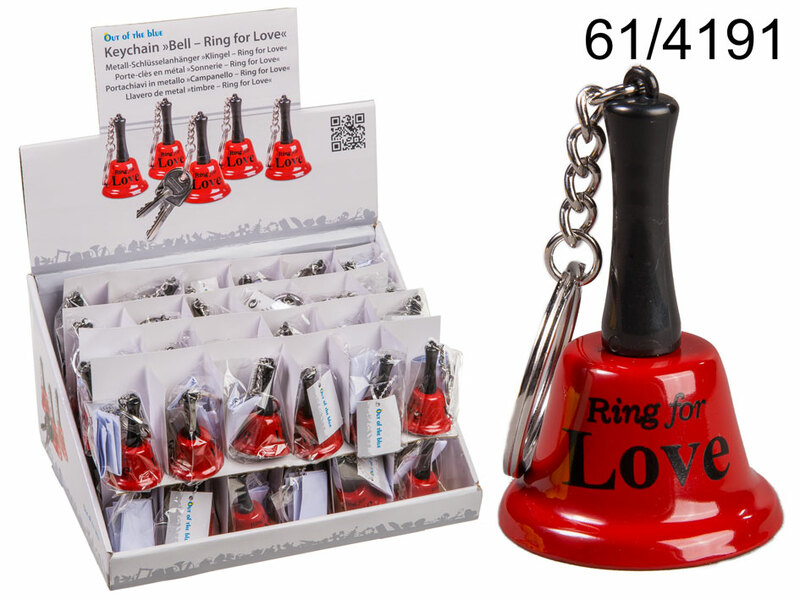 The bell reads " Ring for love". Made of plastic and metal. Funny gift idea for both stag and hen night party. Cute gift idea for your loved one. Size: 7 x 4 x 4 cm.